AMD has started selling select Ryzen processors in special limited-edition Ryzen MAX bundles. This holiday season the company will offer its Ryzen 5 2600X MAX and Ryzen 7 2700 MAX bundles with its highest-performaning stock air coolers that enable users to take advantage of AMD’s Precision Boost 2 and XFR2 automatic overclocking technologies for longer periods, or just enjoy a higher overclocking potential. 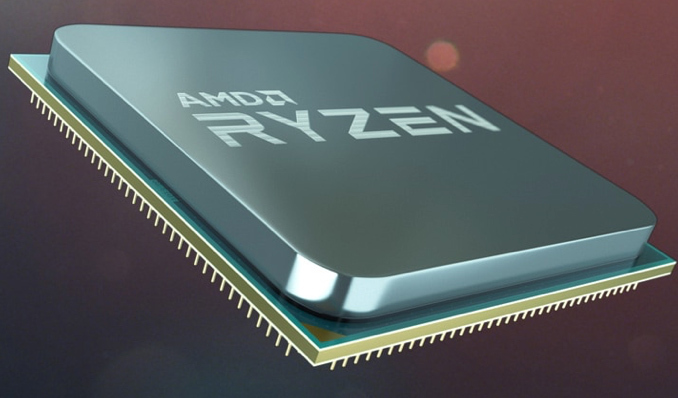 Typically, boxed version of AMD’s six-core Ryzen 5 2600X processor is equipped with the company’s Wraith Spire CPU cooler, whereas boxed variant of the eight-core Ryzen 7 2700 chip comes with the Wraith Spire LED cooling system. Meanwhile, the Ryzen 5 2600X MAX and Ryzen 7 2700 MAX bundles include AMD’s range-topping Wraith MAX cooler. The said processors are rated for a 65 W or 95 W TDP (2700 - 2600X), whereas the Wraith MAX is designed for overclocked CPUs that dissipate up to 200 W. By using the high-end cooling system with the Ryzen 5 2600X and Ryzen 7 2700 chips, users will be able to use AMD’s Precision Boost 2 and XFR2 automatic frequency boosting technologies for longer periods of time, or overclock their chips to higher frequencies. When bought separately, AMD’s Wraith MAX cooling system costs $53.99 (£65 in the UK). Since the device is only available discretely, by offering it with processors, AMD increases their value quite significantly. AMD’s Ryzen 5 2600X MAX and Ryzen 7 2700 MAX bundles will be available worldwide. In the US, these products will be sold by Amazon, Newegg, and Microcenter shortly. In the UK they are available from Scan and other leading retailers. only $15 Lb extra for the 2700, but additional $22 extra for 2600x...IMO they should have also upped the 2600 to use the 2600x cooler. to put another way IMO, no way that even the wrath max is worth $28-$35 (USD/CAD) extra when one can get 3rd party cooler for the same price that demolish them performance wise that unfortunately is the downfall of top down vs tower style coolers. Example Gammaxx 200t is directly comparable to prism max and gammaxx 300/400 trashes it. Good on AMD, maybe they should think about keeping price increase similar i.e $15 for 2600x and $15 for 2700 type deal and not make as limited edition availability would be "reasonable"
"no way that even the wrath max is worth $28-$35 (USD/CAD) extra when one can get 3rd party cooler for the same price that demolish them performance wise"
The stock coolers cant take high overclock temperatures. The SPIRE on my 1700 keeps it just below 70C at 3.6 GHZ. To go any higher, I have to up the voltage, which pushes temps up to 75-76C at 3.6 GHz.